Examining Jeremiah 31:31-34 to discover, what is now and what is to come? The Common Argument: There are certain acts of God which are promised to be unalterable because, according to the word, they are everlasting. The act which is according to the words never, always, everlasting, and forever cannot be interrupted from its course because, logically speaking, the act bound with the word forever, never, or everlasting, will ever be so, and the act which is always cannot ever be another way. My dear reader, have the words forever, never, or everlasting been used, and the act which was promised to be without cessation, nevertheless, failed to exist for the duration of ever? If so, the logic by which you affirm the promises of the New Testament is unbiblical and incomplete. I ask you, is there a means, biblically speaking, whereby God has justifiably interrupted and expired an act which was promised to be forever? You may gasp, “Impossible!” You may say, “If such a thing was possible then God has failed to keep His word! God will never fail to keep His word!” Please hear me, my reader. I am NOT saying that God has failed to keep His word! Rather, by way of question I ask you: What if the way in which God keeps His word now, in the New Testament, is the same way in which God kept His word in the Old Testament (Neh. 9:7-8, 15, 23-25, 32, Psalm 105:8-11, 42)? Please, let me explain. My reader, what if our “forever” (2 John 1:2, Heb. 10:14), “never” (Heb. 13:5, John 10:27-30), and “everlasting” (Heb. 13:20) is as Eli’s, to whom was given the promise “perpetual”, “everlasting”, and “for ever” (Ex. 29:9, 40:15, 1 Sam. 2:35)? Remember how God did later say to Eli, “I said indeed that thy house, and the house of thy father, should walk before me for ever: but now the LORD saith, Be it far from Me; for them that honour Me I will honour, and they that despise me shall be lightly esteemed” (1 Sam. 2:30)? …thus he was thrust out of the everlasting priesthood (1 Kings 2:27). The line of Ithamar (which is the priestly line of Eli) failed to be forever as God said it would be. In the light of this, how should we interpret the New Testament promises of forever? My reader, there are more examples of pertinence which should affect our interpretation of New Testament promises. Nevertheless, my reader, what if our Golden Chain (Rom. 8:28-31) is like the Golden Chains of the Old Covenant (i.e. the Abrahamic & Davidic Covenants)? Did you know that there are Old Testament promises which are promise-bound-to-promise, link-upon-link, just like the New Testament Golden Chain written in Romans 8:30? After studying these Covenants unto their historical conclusion and prophetic consummation, I would ask you, my reader: What if our salvation is LIKE UNTO THEIRS in that it is given to us in an unbreakable chain of promised-bound logical connectedness, so that by a promise-bound-to-promise presentation, our Covenant also, LIKE UNTO THEIRS, logically forbids the possibility of any ulterior reality in existence… except the promises can be breached under certain conditions which are laid forth in scripture, like theirs was breached. If indeed the promises of God (in the New & Old Testaments) are held in breach-ability by conditions, this interpretation is logically possible. Have you never read of the Abrahamic Covenant, “and ye shall know My breach of promise” (Num. 14:34)? Have you never read how, in the appointed time, God will “close up the breaches” (Amos 9:11-12) that were made in the Davidic Covenant? Please, let me explain. Having so great a Golden Chain of words, promises, and oaths, all-remembered and all-spoken by the faithfulness of God, with the Lord descending according to the Father’s will that they should be saved, but yet… what happened to them? The whole generation was killed off in the wilderness, even 600,000 men of war who refused to believe for the salvation that had already been given to them (Deut. 1:20-21). This was a generation whose number was supposed to be as the stars in number when they inherited the Promised Land, but this generation was reduced to two men of war (the Levites excluded)! Even so, God decided to raise up their children in their stead. The Exodus generation refused to take the Promised Land as a gift of grace, thus God condemned them to hell (see Num. 14 & Deut. 1). He reprobated them without any possibility of repentance even though they sought after it with tears (Deut. 1:41-46 like as Heb. 6:6, 12:17). My reader, I repeat, we know that they lost their salvation because they did once partake of Christ and the gospel (see 1 Cor. 10:1-4, and for many more proofs see “The Exodus Generation Saved by Faith”), but then they forsook the gospel which was preached to them while they stood on the edge of Heaven (Heb. 3:16-4:1)! On the edge of final perseverance their faith failed! HOW TERRFIYING! Verily, even the writer of Hebrews was AFRAID, therefore feelingly, he said – “LET US THEREFORE FEAR” (Heb. 4:1)! What about you? This generation came “short” (Heb. 4:1) of their gospel promise and were cast away, forsaken, and rejected by God (Num. 14:34) through a holy breach of the Covenant promise; a holy broken promise. Now, this was to no fault or error in the integrity and faithfulness of God to perform His word. Intercessors, recognizing that the promises had been broken, cried out for their fulfillment (Ps. 77:7-9). All of the thousands of years leading up to the day of Christ, men were still pleading for and looking after the fulfillment of those promises (Luke 1:54-55, 72-73), and we, like them, are also waiting for those promises to consummate in Christ’s rulership of the Land. We await their final, mysterious fulfillment, but there is no fault upon God because His former word was breached. The Abrahamic Covenant was a “golden chain” which cannot be broken, and though those persons who were called in its promise fell short of it, and though many generations in its call also fell short of it, it was the mercy of God that He did not entirely and utterly consume the whole seed of Abraham so as to make void the Covenant’s final fulfillment altogether (Neh. 9:17, 19, 27, 31). It was God’s mercy that He did not throw out the Golden Chain altogether but rather disintegrated some links to the chain, and with no flaw in the promise, for somehow the higher righteousness of God is able to take a just and righteous occasion to damn saved men because of their sin (Neh. 9:33). Rising up to vindicate God’s faultlessness, God’s people, the holy angels, and God’s scripture still affirm that God kept His word perfectly, faithfully, and righteously (Neh. 9:7-8, 15, 23-25, 32, Psalm 105:8-11, 42), but the breach of promise upon those saved men/generations is never disannulled, disaffirmed, or denied at the same time. I say again, they recognized that God’s faithfulness to perform the Covenant was magnified in that He kept the Covenant alive at all. They understood that God desired, thought to, and was moved to destroy it altogether, many times, and therefore, to think that God would keep it alive for any further, partial, or a final mysterious fulfillment in Christ for all eternity – this is God’s great faithfulness (Num. 9:31-32, Lam. 3:21). Had it not been for intercessors in every age standing against the wrathful mind of God to destroy the Covenant and His people, then it, and they, would not be alive today (Exodus 32:13, see also “The Near Annihilation of God’s People” for more information). God hears their prayers and still affirms that the New Covenant is arisen to fulfill the age-old, first Covenant given to the fathers’ – or Abraham as the first father (Deut. 9:5,26-29, 10:15-16, Micah 7:20, Lk. 1:54-55, 72-73, Rom. 11:28-29, Jer. 33:22-26). The argument is a distinction of relationship: how that the former was inferior because damnation ensued, but the latter is superior because damnation is impossible. My reader, I did formerly ask you, What if our “everlasting” (Heb. 13:20) is as Saul’s “for ever” (1 Sam. 13:13), a “for ever” which Saul fell short of. What if we can fall short of our God-given promises which are “for ever” so that our latter end becomes like Sauls: “the Spirit of the LORD departed from Saul, and an evil spirit from the LORD troubled him” (1 Sam. 16:14)? But do you see, my reader? Do you see how the Davidic Covenant is different? What is so exceedingly glorious about the Davidic Covenant is, in it, a distinction of relationship is promised from what happened to King Saul. A distinction of relationship which is, namely, a Father-to-son relationship - a relationship which was statedly unlike the former Covenant God had with Saul in that, it was a Covenant which Saul was able to fall from (2 Sam. 7:14) and thus, two things: (1) mercy departed from Saul, and, (2) Saul was put away from being King. Statedly, God is declaring that Saul was able to fall from the Covenant-relationship which he had with God, but according to the Davidic Covenant there is a DISTINCTION from this relationship – therefore Solomon and his seed are not able to fall. If we could title the relationship God has with Solomon and his seed in distinction from Saul, what would it be? According to 2 Sam. 7:12-16, the promises of irresistible mercy which inhibit Covenanted-saints from falling or being put awayis, according to God: a Father-to-son relationship. By this text we can gather, God did not have a Father-to-son relationship with Saul (so it seems), and God did have a Father-to-son relationship with Solomon and his seed. According to 2 Samuel 7:12-16, this relationship promise-binds eternal security and perseverance to Solomon and his seed, and their throne, forever, so it seems… but what if the Father-to-son relationship that is implied in 2 Sam. 7:14 is exactly like what is implied in the Father-to-son relationship in Psalm 103:13, Jer. 10:20, Isa. 63:8-10, & Mal. 3:13-18? We must be careful here! My reader, what happened to Solomon and his seed? They fell! What happened to the final promise of the Davidic Covenant? It was breached! A perfect heart strives and presses to obtain (Php. 3:14), fulfill (Rom. 8:4, Gal. 5:14, James 2:23), and lay hold (1 Tim. 6:12, 19) on the promises of God. Do you have this mind toward the promises of God in the New Testament? Saving faith is objectively defined by a carefulness to fulfill the Covenant's conditions. We cannot affirm to anyone that he or she savingly believes in God, while yet, the present behavior in which they do walk in is blamed by one of the conditions of the Covenant. What these saints were lamenting was clear. They understood their Covenant promises were breached, but do we? This was a Golden Chain – breached – therefore were the saints thrust into bewilderment (Deut. 9:8, 13)! But you will say, “the New Covenant promises are NOT as the Old Covenant promises”, and by this you argue, they are “better promises” (Heb. 8:6) in “a better Covenant” (Heb. 8:6), by “a better Testament” (Heb. 7:22). This is true, indeed, but not in every sense that you mean to prove. The New Covenant is “better” than the Old Covenant just as the Covenant-relationship of God-to-Solomon is better than the Covenant-relationship of God-to-Saul, this is true! But you mean to argue how, according to Hebrews 8:6, the “better promises” and “better Covenant” is in reference to Jeremiah 31:31-34, which Hebrews quotes in 8:8-12, and by this you affirm, the Old Covenant was a Covenant which “they brake” (Jer. 31:32), but the New Covenant is “better” because it is a Covenant which we cannot break. The Common Argument: You argue that their Covenant (The Old Covenant) was a Covenant “they brake” (Jer. 31:32), and therefore it was faulty (Heb. 8:7), but God, by the mercies of a greater Covenant (The New Covenant), has saved us with a Covenant which we cannot break. By this you mean to prove, theirs was a Covenant which “they brake”, or in other words it was a Covenant which God was, thereby, able to breach, but the New Covenant is unbreakable by us and un-breach-able by God. My Plea: I understand this argument, my reader… but here in Jeremiah 31:31-34, like as the Davidic Covenant was compared to Saul’s relationship with God, we are faced with the same argument of superiority based upon a Covenant distinction (because of a distinction of relationship, God-to-man). Keeping in memory the biblical and historical pattern heretofore set forth, let it serve as an interpretive lens. 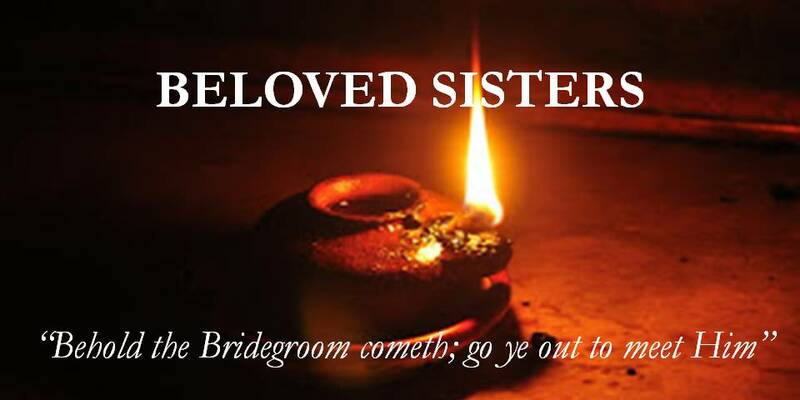 Let us go forth un-blinded by the traditions of men and illuminated by God’s Lamp: The Scripture. Without contest, the text states a distinction of relationship, but we must be biblically consistent and precise in our application. By citingJeremiah 31:31-34, dear Calvinist, you are wrongfully intent on proving your point. Because of this passage you argue eternal security and the final perseverance of all saints. You argue based upon this passage, specifically speaking, “The way in which the regenerate saints fell in the Old Covenant whereby God did cast them away (see Jer. 31:32, 32:40, Heb. 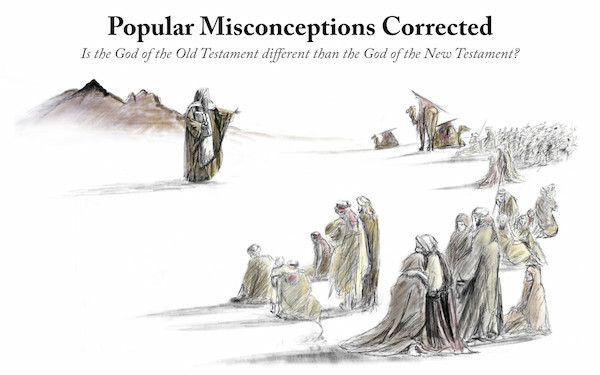 8:9), the saints of the New Covenant are not able to fall or be cast away”, but in stating this, oh man, you nullify the interpretation and application of the New Testament writers (because the NT inspired writers cited Old Testament breaches of promise to exist as viable potentials for New Testament saints; see link below). 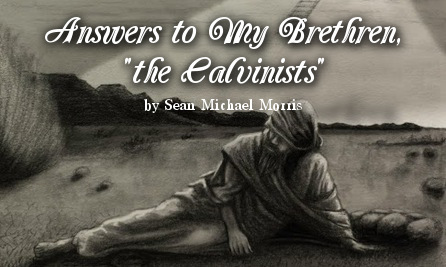 Dear Calvinist, you are struggling because you wonder how, if this is the case, there is no difference between the Old and New Covenants, if indeed we can fall and become cast away. On this vein you must remember the context of the Jeremiah 31 and 32 promises, specifically noting in Hebrews how they were applied. Even though Jeremiah 31:31-34 was specifically applied to New Testament saints in Hebrews 8 and 10, so also are thewarnings by which the Old Covenant was broken in Hebrews 2:1-4, 3:6-4:11, 5:11-6:12, 10:26-39, 12:15-29, when thereby, the saints fell and became castaways (and for greater context in addition to the warnings seen in Hebrews, see 1 Corinthians 9:27-10:13 and Jude 5:5 in connection with Hebrews 3:6-4:11 [especially 4:1]; and for a detailed address of these passages see “Tracing Hebrews”). My reader, Jeremiah 31:31-34 is not the only Old Testament passage applied as a New Testament experience in the book of Hebrews. Psalm 95:7-11 is quoted in Hebrews 3:7-11. The events of Numbers 13-14 and Deuteronomy 1 are quoted in Hebrews 3:7-4:11. The potential happening of Numbers 14:39-45 and Genesis 27:34-40 is applied as a New Testament experience in Hebrews 6:6 and Hebrews 12:16-17. The principles of disqualification from mercy and forgiveness by an atoning sacrifice seen in Numbers 15:22-31 are applied as New Testament rules in Hebrews 10:26-29, and thereby, also, the vengeance of God seen in Deuteronomy 32:35-36 and Isaiah 63:7-10 is quoted and applied to NT saints in Hebrews 10:30-31. So also, the sinful act of despite and the retributive consequence therewith, written in Psalm 106:24 andNumbers 15:31, is recited and applied in Hebrews 10:28-29. Habakkuk 2:3-4 is quoted in Hebrews 10:38. The Old Testament exemplification of chastisement cited in Job 5:17-18, Proverbs 3:11-13, Lev. 26:28, Deut. 11:1-7, which is an experience described in Job 9:34 and Job 21:9, but more specifically in Job 13:24, 16:9, 19:7-8, 19:10-11, 16:13, which is in correlation with the description of chastisement in Lam. 3:3, 2:5,3:11, 3:7-9, 3:2, 3:10, 3:42, 3:43, 3:47, 3:12-13, 2:4 (Note: the experience of chastisement described in Lamentations was forewarned as a possibility by 2 Sam. 7:14 and Ps. 89:32, and for more information see “How is repentance wrought in the regenerate children of God?”), is in exact correlation with what is applied in Hebrews 12:5-17. Also for additional confirmation to this context, Deuteronomy 29:18 is quoted inHebrews 12:15, and Genesis 27:34-40 is quoted in Hebrews 12:16-17. Furthermore, the experiences of fearfulness and the retributive judgment in light of when God revealed Himself in and exercised judgment by – a Consuming Fire – is quoted from the events of Exodus 19-20, Deuteronomy 4-5, 8:19-20, 9:3, Psalm 106:18, and Deuteronomy 18:15-19, and applied as a New Testament experience and warning in Hebrews 12:18-29. 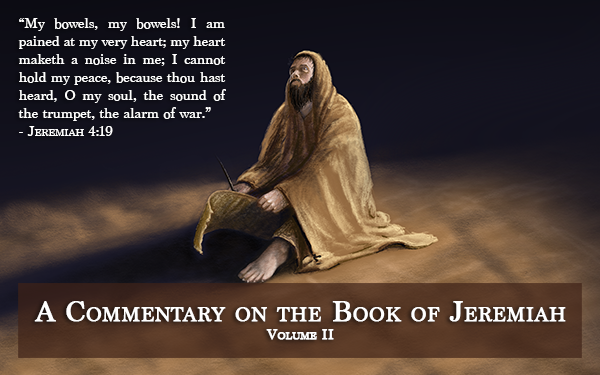 These Old Testament passages and many more, being cited by the inspired writer of Hebrews, deeply affect how he interpreted and applied the meaning of Jeremiah 31:31-34 in Hebrews 8 & 10. We err, my beloved brethren, if we interpret Jeremiah 31:31-34 without the balance of the rest of these Old Testament passages, for they are all applied by the inspired writer of Hebrews. Considering all things, the interpretation of the inspired writers of Hebrews is obvious. Before looking at the promises of Jeremiah 31:31-34 very specifically, distinguishing those which are performed in the Gentile Age from those which are performed at the resurrection, by way of summary let me say this: We know that, according to the prophets, these promises will consummate in the resurrection, during the regeneration of the world, and thereby, at the final and complete eradication of SIN from the saints, thus God will never repent of His promises again! At this time, because of the resurrection, and not before this, “repentance shall be hid from His eyes” (Hos. 13:14), therefore we must not apply a relational aspect which is promised to us as if we have already inherited that promise, which is to say, we must not relate to God in a relationship aspect which is not yet performed in us. I say again, this peculiar and supreme relational aspect between God and man does not exist until the resurrection, at the eradication of all sin from the saints – because then, at this time, it is possible for God to dwell in friendship with man without repentances forevermore. This is because there will be no wrestling in His heart anymore, no contrary will at all – NO! – Because there will be no more sin in the saints! God says at this time, “I will plant them in this land with My WHOLE HEART and with My WHOLE SOUL” (Jer. 32:41), with no contrary desires (like the desires seen in Hos. 11:8-9)! This is the expressed meaning of the statement, “My WHOLE heart”! It means that there will be no conflict of thought and desire in God. This without-repentance wholeness begins at the moment sin is entirely eradicated from the saints, at the resurrection! Then, God will never “turn away from” us again (Jer. 32:40). In other words, He will never be angry with us again (Isa. 54:9), He will never rebuke us again (Isa. 54:9), His Covenant shall never be anything but kindness because, God said, “My kindness shall not depart from thee” (Isa. 54:10), because this is the hour in which God will, “with everlasting kindness”, “have mercy” on Israel from thenceforth and forevermore (Isa. 54:8). At this time the “everlasting” and “shall not depart” promises are fulfilled and consummated, but until this point – the resurrection – we cannot claim this experience as our own. This experience is something for which we are tested and tried, for which we wait for and look after with longing desire, acknowledging that it, to us, indeed is promised, and that it, in Christ, is our salvation, but it is yet to “be revealed” (1 Pet. 1:5), and from now until then we must be careful that we do not fall short of our promises of “everlasting”, “forever”, “never”, and “shall not depart”, like the regenerate saints who backslid in former Covenants fell short of theirs! For we, like them, are not resurrected into the glories of these Covenants – in which is the physical inheritance of the land of Israel, the regeneration of the earth, and so on. We all await the same experience which is now, yet again, a long time prolonged! The fall of the Exodus Generation which caused the breach of the Abrahamic Covenant is explicitly applied as a potential we can experience, according to the interpretation of inspired writers (see 1 Corinthians 9:27-10:13, Hebrews 3:6-4:11 [especially 4:1], Jude 5:5; for more info see “Tracing Hebrews”). This wider context reveals that the Covenant written in Jeremiah 31:31-34 is, by position, giving prophetic illustration of the prophets looking forward to the salvation experience of literal physical Israel supremely, and until then, mysteriously, the Gentiles do become participating Israelites in Christ. What was supremely meant for “them” (literal and physical Israel) is mysteriously fulfilled in us (the Gentile Church Age), until what is partially performed in us is entirely fulfilled in them! Because of this redemptive work, it is argued that the New Covenant saints (of the Gentile Church Age) cannot fall away. Yet, I ask you, can it be rightfully said that the Old Covenant was broken because the law was not written upon the hearts of Old Testament saints? No. In fact, the law was written upon the hearts of Old Testament saints, according to Psalm 37:31, 40:8. Seeing that both the Old Covenant saints and the New Covenant Gentile Church Age undergo this very same experience of redemption (the law written upon the heart), its existence in the New Covenant does not decrease or make impossible the potential of falling from grace into damnation. Because of this redemptive work, it is argued that the New Covenant saints (of the Gentile Church Age) cannot fall away. Yet, I ask you, can it be rightfully said that the Old Covenant was broken because the Old Testament saints were not born again individuals with new hearts and regenerated natures, thereby existing as an authentic people of God? Or in other words, can it be rightfully said that the Old Covenant was broken because God was not “their God” and they were not “His people”? No. In fact, the Old Testament saints were born again individuals with new hearts and regenerated natures (see “The Gospel Calling” for exhaustive detail). The inspired writers of the New Testament understood how and why the answer to the former questions was NO; therefore, without any difficulty they warned the New Testament saints of falling away just as Old Testament saints fell! These warning passages were not “problem passages” to the NT inspired writers like they are to you, oh Calvinist. Looking onward into Jeremiah 31:31-34, other redemptive acts are written and argued in the same fashion as the former two. In this consideration, look at the promises in verse 34. In the light of these realities, my reader, consider Jeremiah 31:34 afresh: Just as the application of Jeremiah 31:34 in 1 John 2:27 is without entirety to what will be performed in the consummation, so also, the application of Jeremiah 31:34 in Heb. 10:17 is without entirety to what will be performed in the consummation. Please, let me explain. In the wider context, God’s “memory-omitting” powers are used for the salvation of sinners (by way of forgiveness) and the damnation of the righteousness (by way of unforgiveness) to un-regenerated and regenerated men alike. Therefore here, God’s “sin-forgetting” powers are exactly like His “righteousness-forgetting” powers. What if the “I will remember no more” here, in Heb. 8:12, is exactly like the promise, “his righteousness which he hath done shall not be remembered him”, in Ezek. 3:20 & Ezek. 18:24? I say again, what if God operates in “memory-omitting” powers for regenerate and unregenerate men, in account of sin and righteousness committed (with continuance without repentance), just as it is written (see Ezek. 18:21-24 [specifically verses 22 & 24], and see Ezek. 3:20, Heb. 8:12, 10:17)? God is able to forget sins and then remember them again, truly! And God is able to forget righteousness and remember it again, likewise! Should not this “memory-omitting” power be held in balance with the promise, “their sins and iniquities will I remember no more” (Heb. 10:17), especially because there is a subsequent warning given; namely, the remembrance of sins which were formerly forgotten (of blood-bought saints [Heb. 10:19] who were thereby, “sanctified” through blood-sprinkling, then becoming disqualified from atoning mercies which were provided by the “sacrifice” of Christ (Heb. 10:26-29 [compare Heb. 10:26-28 with Numbers 15:28-31, compare Heb. 10:29 with Num. 15:31 & Ezek. 3:20]). You see, my reader, men perished and will perish in the Old Covenant and New Covenant alike because, God executed justice in “memory-omitting”, atonement-mercy disqualifying, and promise-breaching powers! The Condescension of God makes possible such repentances; the Lord going back on what He thought and said (see Jer. 18:7-11 or Ezek. 33:12-20 as a brief example). A Summary of Similarities: The lens by which we interpreted “the Covenant” prophesied of in Jeremiah 31:31-34 must also be the lens used for Jeremiah chapters 31-33, Ezekiel chapters 36-39, and Isaiah chapters 54-55. In all these prophetic chapters, “the Covenant” being foretold is given primarily and supremely to literal, physical Israel, and therefore because this Covenant does primarily look forward to the consummation, it will not be completely and entirely fulfilled in us. Thus when we interpret it, we must distinguish between promises and performances which are now, from those which are exclusively to come. The prophets looked forward to the salvation experience of literal physical Israel supremely, and until then, mysteriously, the Gentiles do become participating Israelites in Christ. What was supremely meant for them (literal physical Israel) is mysteriously fulfilled in us (the Gentile Church Age), until what is partially performed in us is entirely fulfilled in them! Truly, it is amazing. Therefore until then we, who are of the Gentile Church Age, await a consummation which David waited for, which both his and our Covenant declared (by a Golden Chain and “forevers”). Until then we, who are of the Gentile Church Age, await a consummation which David waited for, which both his and our Covenant argued for (affirming eternal security by means of a relationship distinction). Therefore until then we, who are of the Gentile Church Age, await a consummation which David waited for, for he and us, in like manner, are delayed by God’s promise-breaching wrath. In the light of this, my brethren, I ask you: What if the promise of Heb. 8:9 (also found in Jer. 31:32) is exactly like the promise of 2 Samuel 7:14-16? What if the “mercy” here (Heb. 8:12) is exactly like the “mercy” there (2 Sam. 7:15)? What if the “shall not depart” of 2 Sam. 7:15works exactly like the “shall not depart” of Jeremiah 32:40, until the time appointed in which, God said, “repentance shall be hid from Mine eyes” (Hos. 13:14), the time when the “shall not depart” is performed in unchangeable powers (Isa. 54:10)? What if the “for ever” of 2 Sam. 7:16 is exactly like the “everlasting” of Jeremiah 32:40? Simply because our Covenant is called an “everlasting Covenant” (Heb. 13:20), this does not mean that it is unlike their “everlasting Covenant” (Isa. 24:5), specifically, I say, in the sense that it was a Covenant which was (for some) “broken” by the backsliders (Isa. 24:5). What if the way in which the word of the New Covenant “shall not return unto [God] void” (Isa. 55:11), is exactly like the Davidic Covenant that didn’t “return unto [God] void” – in that, namely, even though the Davidic Covenant was breached (the prophet lamenting, “Thou hast made void the Covenant”-Ps.89:38), and, even though the New Covenant can and is breached(person to person & generation to generation, as the Lord allows), they both shall be consummated changelessly and forever at the very same moment in time by the very same act, the 2nd Advent of Christ! Therefore preceding this cumulative event, breaches transpire, and the mercy of God is magnified in that a remnant of the regenerate multitude did escape the wrath of God, by scarcity, when a total annihilation was underway (Rom. 9:27-29)! Now for us, dear saints, questions remain. We are in a Covenant-relationship with God via the New Covenant, a relationship which is likewise titled, a Father-to-son relationship; this is true! But what if our Father-to-son relationship is like that which Solomon and his seed had with God? And, what if our Father-to-son chastisement is like what God wrought upon Solomon and his seed? More specifically I ask, what if the Father-to-son relationship spoken of in Matthew 7:7-11, Lk. 11:11-13, 12:32, John 16:23-28 is exactly like the Father-to-son relationship promised and implied in 2 Sam. 7:14? So that, just as 2 Sam. 7:14 is qualified and interpreted by 1 Chron. 28:9, Psalm 103:13, Jer. 10:20, Isa. 63:8-10, & Mal. 3:13-18, so also Matthew 7:7-11, Lk. 11:11-13, 12:32, John 16:23-28 must be qualified by 1 Pet. 1:17, 2 Cor. 6:18-7:1, andHeb. 12 (verses 5 & 9 [charges to endure = coming into subjection], 5 & 10-11 [charges to faint not but rather be exercised by the chastening], 12-13 [so that by this exercise-wrought subjection, the saints continue living and are healed], 15-17 [for otherwise, without exercise-wrought subjection, the saints will fail the grace of God and lose their birthright and inheritance, as reprobate Esau]). We know that “many” saints will, according as it has been prophesied, and like as it was in the past, fail to respond to the chastening of God in this acceptable manner, and thus they will be cut off [For more info concerning Fatherly chastisement, see “How is repentance wrought in the regenerate children of God?”.]. Knowing this, it is evident that our experience of watching saints perish is what will train us to fear God. This means that we too, like the OT saints, must watch saints perish (see 1 Cor. 10:1-12 & Deut. 11:2). This is because our Fatherly chastisement (Heb. 12:5, 1 Cor. 11:31-32[watching the Corinthians perish]) is exactly like their Fatherly chastisement (Deut. 11:1-9 [watching the Exodus Generation perish]). Therefore in the light of all this, what if our Covenant’s intention of salvation by remedial acts of judgment (1 Cor. 11:30-32) are the same as the intention of God in their remedial acts of judgment (Duet. 11:1-9)? It is evident that a distinction of relationship was promised to the New Covenant saints in Jeremiah 31:32 (applied in Heb. 8:9), one in which it is implied that the “New” Covenant is unlike the “Old” Covenant in that, the Old was a Covenant that “they brake” (Jer. 31:32), which seemsto imply that the New Covenant is a Covenant that Israel cannot and will not break! This is a glorious promise indeed! But seeing that this is promised supremely and primarily to literal physical Israelites, and it is to be fulfilled at the resurrection – like as the distinct-relationship promises delivered in the Davidic Covenant – we can understand how and why this is prophesied: because at the resurrection there is a complete removal of sin which will make possible the experience of salvation in unrepentant and un-breach-able glory, without change and forever! The above statement is an interpretive key which makes plain to us what ways, very specifically, there are Old and New Covenant similarities. Very specifically these similarities must be understood… but men are taught to be dangerously simplistic. When one declares, “It says, ‘FOREVER!’”, the multitude concedes to over-simplistic and unbiblical conclusions, to the destruction of many souls! The scripture seeks to prevent these abuses by building the revelatory explanation of salvation upon the Abrahamic and Davidic Covenants, foremost of all other OT Covenants. Therefore by considering what God did in these two forerunning Covenants we can comprehend the real meaning of the New Testament authors. By considering all things, we can ascertain what is meant by the statement, “He hath commanded His Covenant for ever” (Psalm 111:9), in comparison with what we understand about “for ever” and “everlasting”, written in the New Testament. All would be well if we could understand this one principle between the Old and New Covenants – Our Singular Gaze. Our Singular Gaze: Solomon fell short of the final promise of the Davidic chain, and in subsequent generations God sought to fulfill the Covenant so as to give David’s seed an eternal throne... nevertheless, David’s throne was utterly cast down to the ground. For this reason the intercessors did arise and cry (Psalms 89, 132), and God did respond and speak to show the eternality of the Davidic Covenant’s final fulfillment (Psalm 110:1), but this does not negate the holy breaches of the Covenant in the former, present, and future generations to come. The time of its fulfillment has partially begun with the ascension of Christ to the throne of David in heaven (Lk. 1:31-33, Acts 2:25-36), and yet remember, it is not fulfilled finally, eternally, without breach-ability until God makes all of Christ’s enemies His footstool (Acts 2:35, 1 Cor. 15:24-28, 54-57) – an event which does not arrive until the 2nd Advent of Christ! The Abrahamic and Davidic Covenants like as the New Covenant in Christ which engages the Gentile Church, WILL BE eternally fulfilled in Christ. The New Covenant (as it exists in the Gentile Church Age) precedes the resurrection, and is, therefore, like unto these former two covenants: all three of them are golden chains that WILL BE consummated. Comparable Arguments & Experiences: Both the Davidic Covenant and the New Covenant do argue their supremacy from former events of damnation because of a distinction of relationship of God-to-man, but… why would the promises of the Davidic Covenant which declared eternal security by a distinction of relationship, be the same as the promises of the New Covenant which declared eternal security by a distinction of relationship? This is because saints in both Covenants are positioned from the same point of standing, gazing upon the same consummating event of redemption – the 2nd Advent of Christ. Comparable Mysteries in a Common Problem: Because of SIN, mysterious, inferior, and incomplete manifestations of eternal Covenants transpire. We can see this, not only in the Exodus Generation via the Abrahamic Covenant, or Solomon’s seed via the Davidic Covenant, but in the nativity of the Gentile Church Age – which transpired as an act of repentance in God (in one sense), caused by the rebellion of literal physical Israel (see Matt. 21:37, Lk. 20:13, Lk. 13:34-35, 19:41-44 in comparison with the “fall” written in Rom. 11:11 & the affirmation that it was because of “unbelief” written in Rom. 11:30, and see also Lk. 13:6-9, Mk. 11:12-21, & Rom. 10:20-21). Throughout the ages and in every Covenant, if there was no SIN, no inferior or mysterious manifestations of the Covenants would ever transpire. That which was prophesied to literal physical Israel is mysteriously (in an inferior sense) fulfilled in us, the Gentile Church, just as the eternal purpose in the Abrahamic and Davidic Covenants were mysteriously (in an inferior sense) fulfilled in the saints of old. Differing Components in a Singular Gaze: Though Old Covenants and the New Covenant do share this singular gaze, the position from which they stand to gaze is of a differing present-tense inheritance. Because of this, the New Covenant saints are greater in every way! The Old Testament is a Covenant agreement between God and man via earthly shadow – shadows which were passing away – but the New Covenant is an agreement between God and man via the heavenly realities (the substance that the earthly shadows declared). The difference between the two is emphasized in one point, foremost of all: that which is earthly is by essence, passing away, but that which is heavenly is by essence, eternal and undying. Hebrews chapters 7-9 are devoted to make plain this glorious attribute of the New Covenant, that its eternality is the victory of the “reformation” (Heb. 9:10). That now Christ, who is our Perfection (Heb. 10:14), Sacrifice (Heb. 10:12), Intercessor (Heb. 7:25), Priest (Heb. 5:6), and King (Heb. 1:8; Lk. 1:33), is eternal in His Person and His Work, and therefore the Covenant agreement is eternal. The Old Covenant is found “faulty” (Heb. 8:7-8) for all the reasons above, and more - every reason centering around the earthliness and carnality of the Old Covenant. The “law made nothing perfect” (Heb. 7:19) because it was a “carnal commandment” (Heb. 7:16) of “weakness and un-profitableness” (Heb. 7:18; and compare this passage with Eph. 2:15, Gal. 4:3, 9, Col. 2:20, Heb. 8:1-5, 10:1). The “heavenly calling” (Heb. 3:1) and heavenly commandments given by a Testator who is a Heavenly Man, effectually reforms the former law by a “disannulling of the commandment” given in the Old Covenant (Heb. 7:18). Christ is the eternal Priest after the order of Melchisedec, and with this change of “priesthood” there must be “a change also of the law” (Heb. 7:12). The priesthood of Christ was sworn in by an oath, which the scripture states, emphasizes how He is a surety for a better testament… but why? Because the oath (Heb. 7:21) signifies that He is an everlasting Man (“He ever liveth to make intercession for them”-Heb. 7:25), and therefore His priesthood is not as the nominal, earthly, and meager ones in the Old Covenant. For this reason Christ’s is in an “unchangeable priesthood” (Heb. 7:24), specifically because, namely, He is caught up in the “heavenly things” (Heb. 9:23-24)! Christ is “consecrated” -- “there” -- behind the “veil” of heaven (Heb. 6:19-20), standing in office as a High Priest “for evermore” (Heb. 7:28)! This, my reader, is so much greater and better a Covenant than that which is earthly! Of necessity according to the order, and of necessity according to the Man, and of necessity according to the arena of His ministerial office – Christ “abideth a priest continually” (Heb. 7:3)! Remember, the New Covenant is an everlasting Covenant with an everlasting priesthood, yet to be finally inherited (meaning that, there are promises which remain to be performed, experienced, and in this way, inherited). Ahead, there lies a single point in time where the promises of God will be performed in their eternal and unchangeable realities, but that time IS NOT YET. Seeing that this is the context of Hebrews (Heb. 6:11-12, 10:35-37, etc. ; see the Table), the author is holding before them the need to inherit these remaining qualities which are promised to them, but not performed in them. This is why all the warnings and clear applications of “falling from grace” are made (Heb. 2:1-4, 3:6-4:11, 6:1-12, 10:24-39, 12:12-29), in the same manner in which the people of God fell from the promises which were given in the Old Covenant (remember how they too were bound together with the word forever, never, eternal, perpetual, and everlasting, and yet the recipients of these covenants were able to come short of the performance of what they hoped for by a holy breach of promise). The Performance of Promises, Prolonged: In all these situations that God covenanted with His regenerate people (in all the various oaths and promises), what remains for us to determine as believers is, “the times”. As believers, or hopeful recipients and ordained inheritors of these promises, “the times” in which we live is of vital importance lest we, like others, misinterpret our time (which is a misinterpretation of ourselves), causing us to incorrectly apply the promises to ourselves, when the hour in which we live is a time of wrath and breach, a time when the promises are “prolonged” from their performance (Ezek. 12:25-28). In all of the aforementioned scenarios which befell saints (times of wrath and breach), there was a pervasive commonality among all: (1) They all acknowledged that they were recipients of the promises of God (by Covenant); this is true, (2) but they also acknowledged that God’s promises were not being entirely performed in their midst, therefore they rehearsed their present dilemma before the Lord with great distress and longing, desiring that the promises of God would not be “prolonged any more” (Ezek. 12:28). You see, these acts of salvation were promised long ago, “sworn unto our fathers from the days of old” (Micah 7:20), but they have been prolonged from their performance because of sin. In our objective to discern “the times”, we must understand, firstly, how that salvation to Israel has been prolonged from its performance. 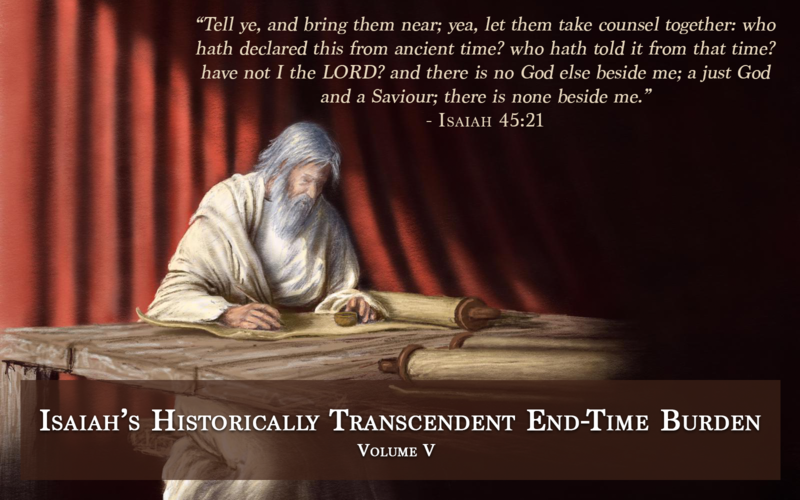 We must understand, secondarily, at what “time” salvation will no longer be prolonged from its performance, or in other words, at what “time” it will be said of God, “He hath remembered His mercy and His truth toward the house of Israel” (Ps. 98:3), according to the promises of old. This “time” is a specific point in which God “remembers” the promises which have been prolonged so as to perform them, thus it was also said of God in this time, “The LORD hath made known His salvation: His righteousness hath He openly shewed in the sight of the heathen” (Ps. 98:2). This time, according to Psalm 98, is the time of worldwide regeneration (Ps. 98:8-9), a time when the age-old promise is fulfilled, “all the ends of the earth have seen the salvation of our God” (Ps. 98:3). All of these instances of scripture (and more), namely, God’s “mercy”, “choice”, “redemption”, “glorification”, and His saving acts as “Savior”, or His redeeming acts as “Redeemer”, unanimously point to one consummating act which can be summarized by 1 Chronicles 16:31-33, “Let the heavens be glad, and let the earth rejoice: and let men say among the nations, The LORD reigneth. Let the sea roar, and the fulness thereof: let the fields rejoice, and all that is therein. Then shall the trees of the wood sing out at the presence of the LORD, because he cometh to judge the earth.” This is, my reader, the 2nd Advent of Christ! 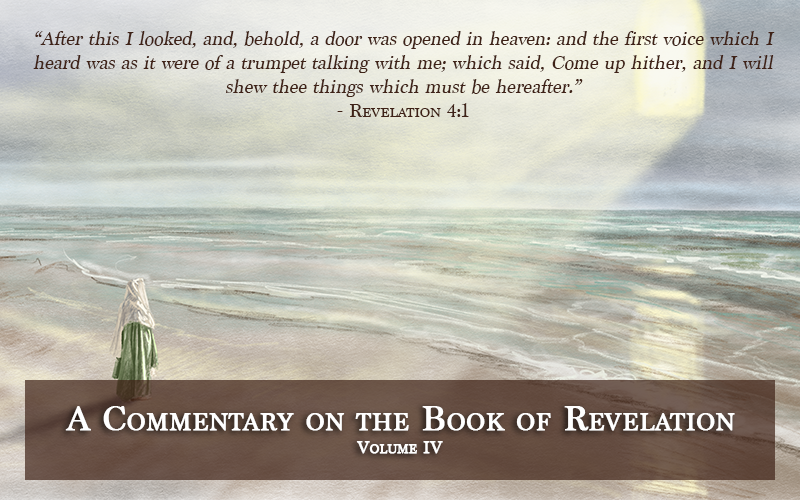 This is “the glory which shall be revealed” at “the redemption of our body” (Rom. 8:18-23)! This is “a building of God”, wherewith “mortality might be swallowed up of Life” (2 Cor. 5:1-4)! This act is, by title, the vindicatory proclamation of God: that He is “righteousness” and “faithfulness” (Isa. 11:5-6); the vindicatory proclamation of God’s “counsels of old”: that they are “faithfulness and truth” (Isa. 25:1, 8); the vindicatory proclamation of God’s word: that they are “true and faithful” ‘(Rev. 21:5, 1)! This point in time marks the beginning of the forevers in their consummation, “an everlasting sign that shall not be cut off” (Isa. 55:13), yea, therefore, “everlasting joy shall be unto them” (Isa. 61:7)! If times continued contrary, and God allowed the wicked to flourish onward in pomp, prosperity, and pride, afflicting the righteous of humanity forever, then God would be unrighteous, unfaithful, and untruthful, but seeing that this “time” is the consummating end and beginning of all wickedness and righteousness respectively, the world concludes with God’s promises performed and God’s glory vindicated. “Behold, the days come, saith the LORD, that I will perform the good thing which I have promised unto the house of Israel and to the house of Judah” (Jer. 33:14). It is the unrepentant purpose of God that governs all His intermittent repentances. As for literal and physical Israel, they are elect through an unrepentant election (Rom. 11:28), “For the gifts and calling of God” toward them “all” (Rom. 11:26) “are without repentance” (Rom. 11:29), though throughout time the literal, physical, and spiritual Israelites, both individuals and generations, were damned through God’s repentances, until the persons of His unrepentant love are all saved and the generation of His unrepentant calling doth arise in the end of time. All the Covenants of salvation through the ages of time do testify to this… and can we be blind to it!? My reader, proud men are blind to this. Proud men suppose that there are no other ways by which God’s promises can be fulfilled, except by the salvation of their own souls – but God, not winking at the continuous rebellion of saved men, did, through the centuries, make the performance of the promises of salvation amystery, an unsearchable wonder that cannot be found out! Do you suppose that you are bound to His salvation because of an immutable word of His righteousness? God can repent of His choice of you and choose a stone to replace you, yea, and this stone could become you! I repeat, the stone can be you, and thereby God will still be as He always said He would be, even as He will be finally reckoned by all asperfectly true: “For I say unto you, that God is able of these stones to raise up children unto Abraham” (Luke 3:8). God failed you? No, God reprobated you. He cast you away, and then He replaced you, and then that stone became you. Yes. God would more quickly redeem a lying Canaanite who is an already-condemned harlot, whose heart is full of faithful obedience, than He would redeem you, oh proud Christian Pharisee! In your pride, you suppose that you are preferred because you are God’s chosen people, and thus, you embolden yourself in fearless rebellion. You may fancy yourself that you are the elect, but God hath charged all His choice saints - “make your calling and election sure” (2 Pet. 1:10). What is merciful about the mercy of God? The unchangeable, everlasting mercy of God is enjoyed by all the elect, this is true. But how does one become assured that he is a part of “the elect”, to whom belongs this irresistible grace? All the attributes of redemption which spring from “election” have one thing in common: they exist and are operated by an unrepentant purpose. In other words, the redemption of “the elect” is without repentance (without changes or alterations). I agree with this! But yet, because Calvinists nullify the condescension of God in the ways of man, they have an unbiblical definition of mercy (and the assurance thereof) that is enjoyed by the elect. 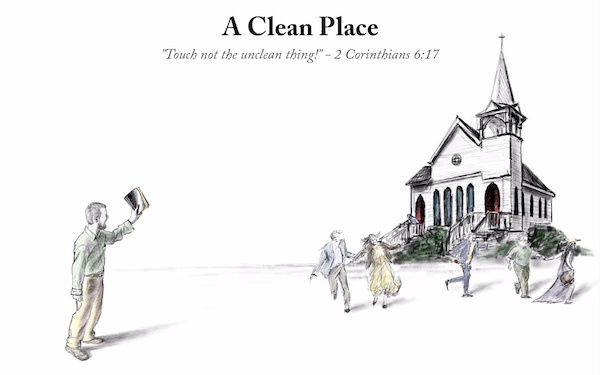 The purposes of God that are without repentance are made discoverable by outlasting all repentances. The mercy of God that is elect, unchangeable, and everlasting (God in the Ways of God), is made discoverable by outlasting the wrath of God which compels sudden repentances of the purpose of mercy, and because this purpose of wrath was temporary, we can understand that the purpose of mercy was unchangeable and eternal, seeing that it was the final conclusion of the wrestle. The words of God that are spoken by elect, unchangeable, and everlasting mercies (God in the ways of God), are made discoverable by outlasting the wrath of God which causes various alterations of God’s word and promise (alterations that He was constrained to utter during the duration in which He was angry) – and because God repented of these thoughts and words which were of wrath, anger, and damnation, we can understand that this repentance of wrath happened (within time, by a condescension, God in the ways of man) because of the purpose of God for mercy and redemption that was without repentance (God in the ways of God). All the purposes of God that are without repentance become manifest to us because they outlast the repentances of God! The un-repentant purposes of God (God in the ways of God) do govern and predestinate the course and final end of all the repentances of God (God in the ways of Man). All the mercy of God which is unchangeably elect and everlasting, become manifest to us by outlasting all the changes within God’s heart - from mercy to wrath and wrath to mercy, mercy to wrath and wrath to mercy. This is a biblical explanation of elect mercy as the scriptures teach it. Calvinists do not believe that God can change His mind. This is because they are set to defend a singular vision of God’s existence: God in His sovereign and eternal attributes. This is a vision which is incomplete, lacking, and partial, because it omits the condescension of God in the ways of man. The Calvinists do unconsciously omit the plain teaching of scripture because they are so ambitious to defend the sovereignty of God, as they would understand it. They, being imprisoned by the presumption that all theology must be logically consistent (according to our limited and misguided human capacity), are compelled into a staunch rejection of all biblical teachings of scripture which are mysteriously paradoxical to God’s sovereignty. Oh, this pride! This blind obedience to human logic! Away with it! Calvinism makes men slaves to their logical capacity instead of God’s logical capacity; made evident by the unsearchable wisdom of scripture. The truth is: God coexists in a paradoxical way that is contrary to His sovereign, everlasting, and unchanging attributes. I call it, “God in the ways of man”, or, “The Condescension of God”. Yes simultaneously to this, God’s elect purposes are without repentance, this is true! I am not arguing the non-existence of absolute sovereignty as Calvinism would teach it, I am seeking to clarify how and in what way sovereignty and election are made discoverable by us and manifest in time, according to the scriptures and the potential happenings made possible by the condescension of God. Oh man, will you disagree? How will you ever be brought to confess the plain truth that God has purposed to do things which He did repent of? Will you be brought to confess that, indeed, according to scripture, God has altered what He thought and spoke many times!? To name a few, see Exodus 32:10, Num. 14:11-12, Num. 16:21-22, Num. 16:45, Ezek. 20:8-9, Ezek. 20:13-14, Ezek. 20:21-22, Deut. 32:26-27, Deut. 9:4-8. How did God purpose to do something and then repent of it, you wonder? Such a thing is contrary to God’s sovereign, eternal, and unchanging attributes, right? Indeed it is… and yet it happened. How? My reader, this is made possible by “The Condescension of God”. And in this condescended relationship by which God relates to man, the intercession of Holy Spirit-inspired men compels God to change His purpose or spoken word (like as what is seen in Psalm 106:23). According to the examples I provided above via citation, we can see that God did, does, and will repent a multitude of times (even though He desires to destroy His people), and this is because His mercy is plenteous and rich! But when God is provoked TOO FAR the fury of His anger can reach the point of irreversibility, thus reprobation ensues (Jer. 15:6, Jer. 6:11). Elect mercies have been made discoverable to us when the sinfulness of God’s people did aggravate justice to mount up against them for an annihilating strike, only to be held back beyond all our comprehension of justice - which means that God granted them mercy and salvation “not according to [their] wicked ways, nor according to [their] corrupt doing” (Ezk. 20:44, 103:10, Rom. 9:15), even when their deeds were inciting damnation and destruction, according to the letter of justice written in Holy Scripture. This and this alone is how elect mercy is made discoverable by all (according to scripture)! And yet, how many people who believe in the sovereignty of God by election do also believe (contrary to scripture), that God cannot ever be angry with them again? How terrifying is this heresy! I testify to you my reader, that if elect saints like Jeremiah, Joshua, Jacob, David, Moses, Aaron, Hezekiah, and Josiah would have related to God only based upon His “everlasting love” and higher ways (God in the ways of God), they would be in hell right now [see The Damnable Abuse & Misapplication of Sovereign Election (chapter 14)]! I beg you to consider this testimony I have given to you before God and with a careful study of scripture (please, see that it is ordered and cited for you in the hyperlinked chapters provided). God help us to know the truth! If this generation would study the vast amount of scripture which details how and in what way God’s sovereign and elect mercy is administered to man, and furthermore how it is made discoverable by man, the conclusions would be startling! Oh my reader, I ask you, what is merciful about the mercy of God? Let me exclaim it to you! Mercy restrained wrath so that not all of God’s saints were damned (because all DESERVED damnation)! Therefore it is an infinite wonder – the glory of MERCY – that any of God’s saints are saved at all! It is the glory of God’s elect mercy that most of the saints were destroyed by God’s near annihilating wrath, and not all, for God desired to, moved after, and uttered the sentence of total annihilation… but mercy restrained it! What is merciful about the mercy of God? It is that He “retaineth not His anger forever” (Mich. 7:18-19)… but Calvinists say it is that God is not angry at all, forever! These are opposite definitions! Which is it, my reader (see “The Near Annihilation of God’s People”, “I Am Weary With Repenting”, and “Mercy On Whom I Will Have Mercy”)? After a careful study you will find: elect mercy is manifest when God saves a remnant of His regenerate people from the total annihilation which they deserve, so that some instead of none are left alive and well! You see, God was endeavoring to totally annihilate His regenerated people, and yet He refrained Himself – sovereign mercy being the cause (Exodus 32:10, Num. 14:11-12, Num. 16:21-22, Num. 16:45, Ezek. 20:8-9, Ezek. 20:13-14, Ezek. 20:21-22, Deut. 32:26-27, Deut. 9:4-8)! It is true that in God’s eternality and sovereignty, and in unrepentant ordinations, He has chosen to save literal, physical Israel before the end of time. For this purpose God spared a remnant of Israel, but take heed, it was by pacifying an able-anger which was rearing to annihilate, and, lo! it was engaged by an opposing will in God, and they wrestled, then wrath was scarcely surmounted… and then subdued, and the stronger will in God which dispensed mercy was moved, strengthened, and made unconquerable, because it stands as the highest priority in God, that in preserving His people He preserves His Name. In the light of this justice-shattering mercy which no man can explain, in the light of a situation of justice which kindles an eternal, forever-burning, unrelenting wrath unto our total annihilation, the saints recognize and wonder – God saves! – and they praise Him that His anger does not continue FOREVER! This is the mercy of God! If the election of God determines the predestination of salvation to arise in a perseverant end, its rise is through a thorny path and raging sea of near annihilation. The survival of the saints through this course unto a salvific end is the exclamation of great, surpassing, unthinkable, inexpressible mercy! The final, finishing, and entire salvation of Israel is the capstone event at the end of time. This is His eternal purpose and sovereign counsel (God in the ways of God), and though His mind, works, and will change many times, the sovereignty and eternality of His judgments made from everlasting are always exalted right beside the contrasting events, circumstances, and manifestations of God’s condescension in the ways of man. Therefore God says, "For I am the LORD, I change not; therefore ye sons of Jacob are not consumed" (Malachi 3:6)! We must learn to relate to God in His condescension, but yet we must glorify God, knowing that every outcome is underneath His higher, secret, and full rule, because He is an unchanging, all-determining, predestinating King. This faithfulness of God is mentioned in reference to the following: the parents of the audience that God is herein speaking to did fall away from their salvation and were lost (though they were born again and saved), and God’s mercy and His promised oath, and His covenant-keeping faithfulness are magnified in this very specific way - that the generation now in Covenant with God is raised up for salvation IN THE STEAD of their parents! This is undeserved! The children of the castaway parents deserved total annihilation. God desired and spoke to accomplish a total annihilation of them (see Numbers 14:11-12), but He did not do this because He is an oath-keeping and Covenant-keeping God who is merciful and faithful! Now, what is so loving, merciful, faithful, and keeping about God? 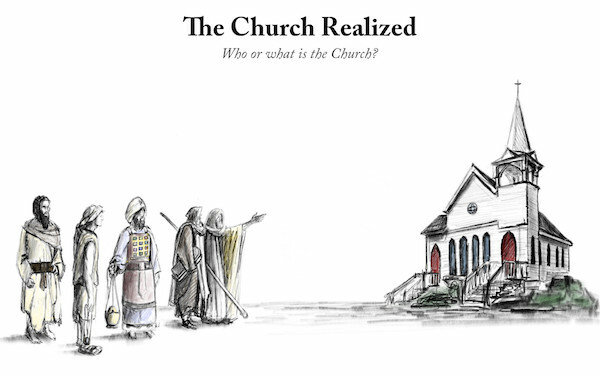 It is that some, even that anyone, even a small remnant at all, or any at all of the whole multitude of regenerate persons, are saved, in your generation and/or in the end of time, and it is not that none can be lost or fall away who were formerly saved, otherwise the parents of this generation would have been preserved alive for final perseverance! Furthermore, God forewarned this generation that if they did not maintain His command to them, which required holiness from the Canaanites (see Deut. 7:11-12, 1-5, 25-26), then He would destroy them “suddenly” (Deut. 7:4), for God had made a name for Himself in the castaway wrath He showed to former generations when He, as it is written, “repayeth them that hate Him to their face, to destroy them: He will not be slack to him that hateth Him, He will repay him to his face” (Deut. 7:10). My reader, God is willing to keep that reputation. The language here, in Deuteronomy 7, which very specifically speaks that God keeps His Covenant and oath to the magnification of His mercy and faithfulness…became a foundational understanding of what the mercy and faithfulness of God was; therefore, henceforth the people of God do echo these attributes of God in prayers, praises, and prophetic books, with the exact same meaning as Deuteronomy 7. All events of history, including Deuteronomy 7, sung the same sounds in the same songs, resounding the everlasting understanding – the Lord is “the Great, the Mighty, and the Terrible God, Who keepest Covenant and mercy” (Neh. 9:32). This is written, as you can see, in Nehemiah 9:32, and it is a comprehensive summary of the biblical history of God’s people. The Levites built the same historical and contextual foreground of God’s words and deeds, tracing it through history, event-to-event, until finally, they lifted up the praise of what is so merciful about the Covenant-keeping virtues of God. Oh! It is the multitude of God’s Covenant-keeping mercies that salvific mercy is available at all for latter generations, when, behold, He did reprobate the former… thus God is “terrible” and merciful, and, behold, He has “goodness and severity” (Rom. 11:22)! “Behold therefore the goodness and severity of God: on them which fell, severity; but toward thee, goodness, if thou continue in His goodness: otherwise thou also shalt be cut off” (Rom. 11:22). Deuteronomy 7 exists as an interpretive foreground to any acclamation of God’s faithfulness! Therefore in the light of Deuteronomy 7, what is slow about how God is, “slow to anger” (Ps. 103:8, Neh. 9:17)? What is the cause by which we can understand His slowness? What is soplentiful about how “plenteous in mercy” God is (Ps. 103:8)? What is so manifold about God when He was praised and thanked for the attribute called, “manifold mercies” (Neh. 9:19, 27)? Hereby, in studying the plenteousness and manifold numbers of God’s mercy, how would this affect our understanding of “the riches of [God’s] glory on vessels of mercy”, in the mercies of predestinating election? What is the greatness of mercy when it was said that God is, “so great in His mercy” (Ps. 103:11)? What is the greatness of God’s faithfulness when it was said, “great is Thy faithfulness” (Lam. 3:23)? What is pitiful about God’s pity toward His saints when it was said, “as a father pitieth His children, so the LORD pitieth them that fear Him” (Ps. 103:13)? What is so praise-worthy about God’s tender Fatherhood to you, His child? What is so exclamatory when it was stated that God, “delighteth in mercy”, in relationship to the remnant’s salvation from the damning anger of the Almighty (Micah 7:18-19)? What is so magnificent about the changelessness of God, how the Lord said, “I change not” (Mal. 3:6)? When you consider the greatmercies of God, how that He is “a gracious and merciful God” (Neh. 9:31, 17), what is it that you are pondering exactly? With what readiness is God “ready to pardon” (Neh. 9:17)? By way of summary let it be known, my reader: because mercy is plenteous, manifold, and rich, therefore God’s anger was slowed down, and for this reason the people did praise God that He was “slow to anger.” God’s anger was burning hotter, pursuing harder, and minded to a fast and quick annihilation, more than was ever manifested by a plague or a destroying power… He repented of it many times, until finally, He was weary of repenting (Jer. 15:6). In this weariness, finally, He refused to repent anymore of His angry thoughts toward His people. It was then that His people realized, “Like as the LORD of hosts thought to do unto us, according to our ways, and according to our doings, sohath He dealt with us” (Zech. 1:6). As the Lord thought to do but repented of it, again and again, now the Lord has thought and repented not, and what was it? It was the near annihilation of His people in the Assyrian and Babylonian Captivities, and the people of Nehemiah’s day came out of it “as a firebrand plucked out of the burning” furnace of God’s wrath, still alive, scarcely though, and now that they have returned back into the land of Israel they do solemnly confess to God – “Thou art just in all that is brought upon us; for Thou hast done right, but we have done wickedly” (Neh. 9:33). God thought to totally annihilate Israel, and then, in an unrepentant purpose, did set His face according to how He had “thought” before, and God dealt with them “according to [their] ways, and according to [their] doings” (Zech. 1:6), but the very fact that not all were totally annihilated is an unjustifiable mercy. It is a mercy that caused them to escape from the justice of God’s judgment “according to [their] ways, and according to [their] doings” (Zech. 1:6), a mercy which was said to be “NOT according to your wicked ways, nor according to your corrupt doings” (Ezek. 20:44), and again, Israel says, “He hath NOT dealt with us after our sins; nor rewarded us according to our iniquities” (Psalm 103:10). Even so, when Israel praised God for His faithfulness, His slowness to anger, the plenteous, manifold, richness of His mercy, it was not that none could fall away and perish who were formerly saved, but it was that a few of the many which were of the saved multitude were preserved, and that there was not a total annihilation according to what they deserved! 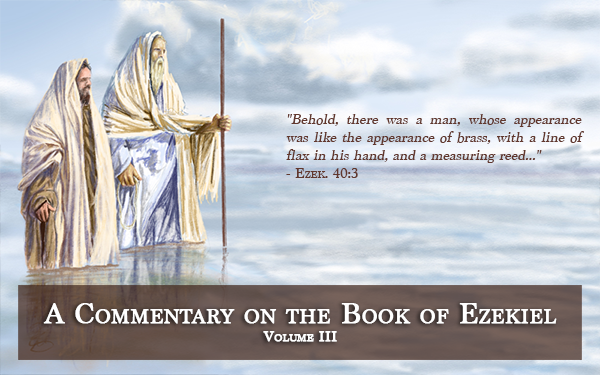 Therefore we must understand – biblically – what happens when God is “a little displeased” (Zech. 1:15). Or, what happens when God turns upon Israel “in a little wrath” (Isa. 54:8). Let us consider a Person who is infinitely above us… GOD. Therefore for GOD, what is a calculated correction like as it was said, “I will correct thee in measure” (Jer. 30:11, 46:27-28)? And furthermore, how do these experiences which I have heretofore described relate to the manifestation of wrath which the psalmists spoke of and described, being in such a great agony of torments that they thought, verily, if the wrath of God continued its course then it would finalize in deadly magnitude, and, its duration was like a burning that lasts forever (God pacifying His wrath so as to save their lives, He displays His agreement with their affirmations: Deut. 32:36, Ps. 78:38-39, 119:84, 39:4-5, 89:46-48, 79:5, 85:5, 89:46, 80:4, 74:1, 74:9-10, 13:1-2, Isa. 64:9). My beloved brethren, the key to comprehend the answer to all of these questions is, beholding the sinfulness of our sins before the holiness of God (Ezek. 20:4). Let God be praised because a near annihilation occurred, merely, when a total annihilation was galloping forward and scarcely unaccomplished (Ps. 103:8-16, Lam. 3:23,Mal. 3:6, Neh. 9:31)! Do you agree with the scriptures, my reader? Leonard Ravenhill did. It was Ravenhill who said that the Church stands in need of two great revelations: namely, (1) the sinfulness of her sins and (2) the holiness and majesty of God. David had the faithfulness and righteousness of God in correct interpretation. During the time that he wrote this psalm, he was surrounded by “enemies” which did “afflict [his] soul” (Ps. 143:12), to the point where David was recognizing that God was hiding His face from him in wrath (Ps. 143:7), and therefore “the enemy” had, David says, “smitten my life down to the ground; he hath made me to dwell in darkness, as those that have been long dead” (Ps. 143:3). David knew that if he abode here in this spiritual avalanche of wrath, he would be soon swallowed up by death, and thus he said – “Hear me speedily, O LORD: my spirit faileth: hide not Thy face from me, lest I be like unto them that go down into the pit” (Ps. 143:7). David recognized that God was entering into judgment with him according to his sins, or the sins of Israel, and David understood that if God did not have sovereign mercy, if wrath took its course according to the judgment of holy justice, then, like all the others, David would come to a full end in total annihilation. Even so, David prayed:“in Thy faithfulness answer me, and in Thy righteousness. And enter not into judgment with Thy servant: for in Thy sight shall no man living be justified” (Ps. 143:1-2). David knew that God’s faithfulness and righteousness would be declared forever, but this did not mean that none had ever perished who were formerly saved, but that of the many who were saved and then fell away, not all were judged and destroyed, and these saints, with a chosen multitude in the future, will be the object of God’s final and forever righteousness and faithfulness, to perform all of the promises in the END of days. David just wanted to be a part of this holy and elect number who makes it to the END! The fact that a near-annihilating wrath came upon God’s people, rather than a total annihilation, is slowness to anger, little wrath, and a little displeasure, comparatively to what God thought, intended, wanted, said, or could have done in the cause of pure, undefiled, unrestrained justice. If a remnant is spared, then, lo, we have much to be thankful for! This is RICH, PLENTEOUS, and MANIFOLD mercy which overcame the whelming storm of wrath which was alive in God’s heart of justice, against us “the criminals”, who have sinned in exceedingly sinful sins. This mercy wins for Israel a near annihilation instead of a total annihilation, and this is “not according to [our] wicked ways, nor according to [our] corrupt doings”, and again, “He hath not dealt with us after our sins; nor rewarded us according to our iniquities” (Ezek. 20:44, Ps. 103:10)! This is how the biblical, inspired writers understood the mercy of God – specifically speaking, the riches of it! The plenteousness of mercy is shown forth in that it was more manifold and numerous than our sins! Perhaps now we are prepared to understand what true worship is, and why God’s people repeatedly praised God with the exact same praise: “His mercy endureth for ever”! With this in mind, please consider the wider context of Jeremiah 30-32. With this in mind, please reexamine your former interpretations of popular passages in Isaiah 54-55 or Ezekiel 36-39 which are used to argue eternal security. Behold how in all of these chapters, the inferior and superior senses of the prophesies being made are perfectly consistent. All are given to one primary audience, and if any application is made to the Gentile Church Age it is mysterious, inferior, and without entirety. 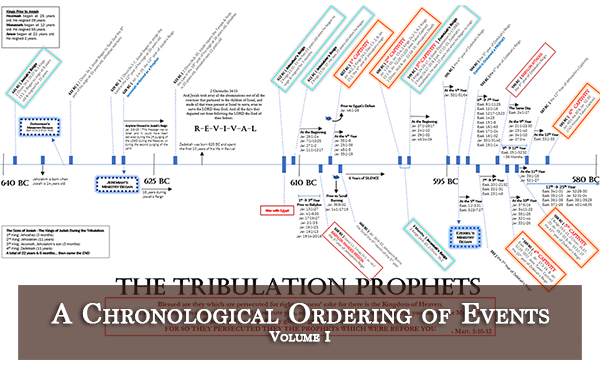 ​NOTE: the prophesies in these charts are actually triple-sensed, but for the sake of clarity and simplicity I kept the scope of our study to double-sensed - I neglected to address the inferior fulfillments that were accomplished in the regathering under Nehemiah, Ezra, Haggai, Zechariah, and Malachi.